Black Swan Garden Design: First Day Barefoot! I believe there is no such thing as a shrinking violet, that there is only the shy or cautious viewer. 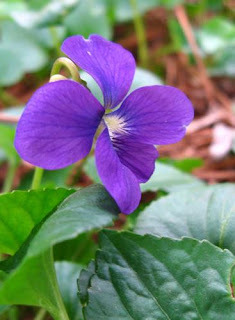 Violets embody the qualities of divine power (blue) and of divine love (pink) which, when merged, create a pulsating energy that consumes on contact the darkness within all that it touches. "The violets are children with bare feet"
clamber on the squeaking cart, aloof. March is a baby, laughing already, in its swaddling clothes. to roast your face by the fire. charge upon clumps of violet. If you have a mind to grow these, try planting them in a portion of your lawn that's shaded from hot afternoon sun. They tend to take over, albeit slowly. 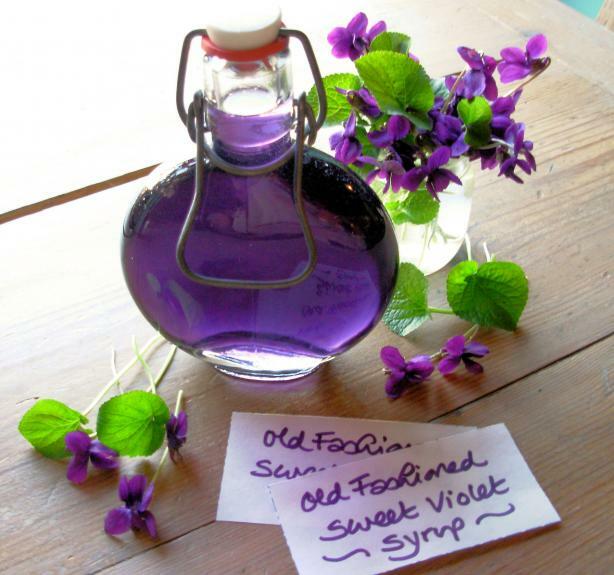 Harvest the flowers in spring (March - June) for homemade Violet Syrup, to toss into fresh salads, or to candy for an old-fashioned treat. To make Violet Syrup, pour 1/2 C. boiling water over 3 cups of flowers (no stems) and cover. Let cool and steep together for 24 hours. On the second day, add 2 - 3 C. sugar (to taste) to the violet water and bring to a gentle boil, stirring 'til the sugar is dissolved. Strain the flowers. Your Violet Syrup is ready for use! Store in a cool, dark area or in the fridge for up to 6 months. Little re-corking bottles make sweet gifts.